The new softball broadcast team at Brooklyn College, organized by Carlos Montanez, hit snags when it went on the air this spring. But volunteers struggled to keep the broadcast team in the game. Marcus Lloyd and Faraz Toor found out why. Egg creams were once a popular drink in New York’s Jewish immigrant communities in candy store soda fountains. But what’s an egg cream? Steve Loffredo investigates what goes into making an egg cream. He says its U-bet syrup, seltzer and milk. He examines why the egg cream is a vanishing drink. Flooding in Brooklyn is not something we see often; however, when Hurricane Sandy stormed New York, she took with her the lives of 109 and the homes of thousands. This tragedy not only showed New York its mortality, but also reminded New Yorkers that there are greater struggles than catching the late bus in the morning. Many New Yorkers have returned to the regular hustle and bustle that the city is known for. Some parts of the five boroughs didn’t see any affects, but for a few college students, life has not turned back the dial. 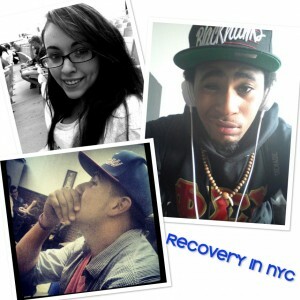 zx 630 Three college students heavily affected by Hurricane Sandy agreed to share their experiences. Wearing his organization’s hoodie, Jose “Wreckonize” Batres grabs a seat on the light green SUBO building sofas. After finding what looks like a comfortable position, he smiles. Hurricane Sandy hit land sometime Monday evening, and while many families had found retreat or safety, not all were so fortunate. “We were in an evacuation zone, but we couldn’t leave. We had no place to go really, so we figured we’d ride it out,” said Batres as he stares into the noisy game room of SUBO recalling the night. Batres looks around, analyzing his surroundings and asks to move to a more private room. His eyes flash a look of sadness as he reseats himself on a black and white loveseat in the SUBO basement. Rearranging himself several times before speaking again, he glances up and clears his throat lightly. Batres is a Kingsborough Community College student who lives in Rockaway, Queens. His recollection of Superstorm Sandy has movie-like energy. CUNY students got some time off because of Sandy, but with the kind of damage done to Batres’ area, returning to school would not be a simple transition. In New York, the CUNY system houses roughly 272,000 students in total. All CUNY colleges are comprised of commuters and while the MTA was up and running about 5 days after, this did not mean that college students who live great distances could just spring back up for school. Professors are not always the most understanding people in the world. “Most were understanding except for one who gave us a test when we came back to school like anybody’s mind was on that. And still left homework but still had no electricity to even use my computer or light to read or even a phone to use it to look things up. Even just being able to get home has been the biggest hassle and an overhaul of work in a short period of time due to the days missed is also a problem,” Batres says while simultaneously shuffling through a bag full of papers to find syllabi. The struggle of returning to student life is not one that Batres faces alone. Many students in the metropolitan area have had trouble readjusting to school life. One of these students is the Bergen Beach native Janet DiGeronimo. Walking into the room with a grey sweater and a forced smile on her face, she sits next to Batres and timidly introduces herself. DiGeronimo begins to fidget whilst remembering the Superstorm’s hit. The storm had taken its toll not only in power outage, but in the belongings it took with it. Students like DiGeronimo have been displaced; lost belongings and some have even lost homes. The idea that school would simply just return so quickly when many have not been able to pick up the pieces is a hard pill to swallow. Janet was battling between maintaining normalcy in her studies while simultaneously dealing with the loss of her belongings, her home and many memories that washed away with the storm. “The storm has taken a huge toll on everyone, but we are trying to do the best we can. We know that even though we lost so much and are going through a difficult time, many people have it even worse than us. I’m currently staying at my aunt’s apartment in Bensonhurst. Later in the day, wearing a pair of green UrbanEars while twirling a Naruto keychain, Khyriel ‘Diverze’ Palmer sits on the couch across my table while awaiting my questions. Khyriel is a Coney Island native who had a front row seat for the horrendous event that was Superstorm Sandy. The reality of what Khyriel and his family would now face was much more than they had planned for. Living on the 23rd floor, they had no power or heat for several days. The entire first floor was flooded during that time, so attempting to leave was futile. A family of seven living in one home had to go with no food, or electricity until the first floor was pumped out of water and FEMA had come to handle the mess left by the storm. The hardships of a student are immense enough, without the added stresses of not having a stable home life. In the average student’s life, between working, a heavy course load and outside relationships- maintaining a steady GPA is a difficult task. air jordan 1 After a natural disaster of the likes of this one, students are expected to fall right back into place. For students like Jose Batres, Khyriel Palmer, and Janet DiGeronimo, this may not be as simple as it once was. For more information on declaring damages done by the storm, CLICK HERE. For free counseling hotlines, CLICK HERE. For information on how you can help Sandy victims, CLICK HERE. To donate to the children affected by Hurricane Sandy, CLICK HERE. On the cheerful side of things, READ ABOUT HOW A SECRET SANTA is attempting to brighten some Sandy victims’ days.